The Early Childhood Education program prepares students to assume management, supervisory, and teaching positions in child development early learning center programs and/or transfer to a baccalaureate program at a four-year institution. The program is also designed to meet the education and retraining needs of those already employed in early childhood occupations. What can you do with an Associate of Applied Science Degree? Students who are interested in preparing for a CDA credential can take the required courses to prepare for the CDA at Walters State. The AAS program includes the coursework that supports educational requirements for the CDA credential. This credential is awarded by the Council for Professional Development. Check with an Early Childhood Education advisor for a list of courses which are needed to meet educational requirements for National Child Development Associate (CDA) credentialing preparation. This degree requires 41 hours of general education and 19 hours of early childhood education or related courses totaling 60 hours. This degree is designed for students who plan to transfer to a four-year college or university. The program of study should be designed with the transfer institution in mind. To become a licensed teacher in pre-K and kindergarten through third grade classrooms in the state of Tennessee, students must complete a four-year degree in a teacher education program. The Associate of Science in Teaching, Pre K-3, follows a common curriculum established by the TBR early childhood education programs. 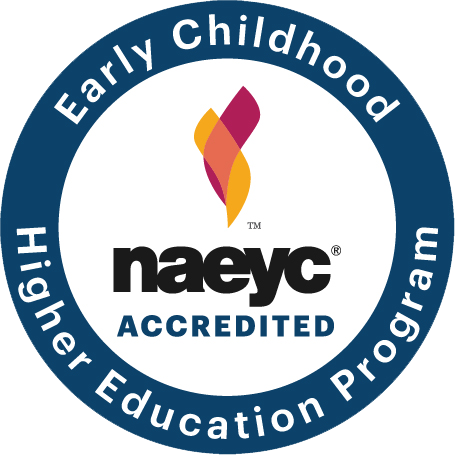 The Early Childhood Education Certificate prepares the student for employment in the field of childcare/early education by providing the necessary training to complete the Child Development Associate (CDA) credentialing process. It is also designed for students who are already employed in an early care situation and desire to improve their knowledge and competency in working with young children. The coursework in the completed technical certificate will apply to the Associate of Applied Science degree in Early Childhood Education.